The track is located at the corner of IH 37 and 281. 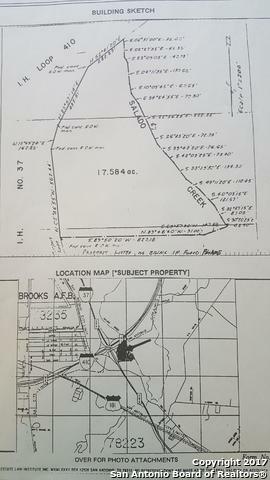 It has a right-a-way easement with Highway for access. It has great visibility from the highways. 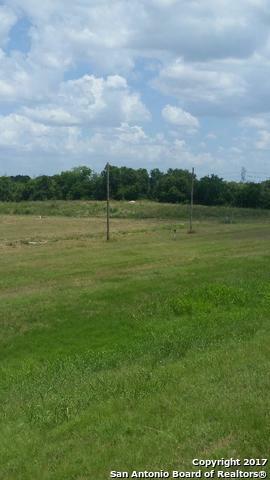 Approximately 3 acres are out of the flood plain with an engineered pad site for building. 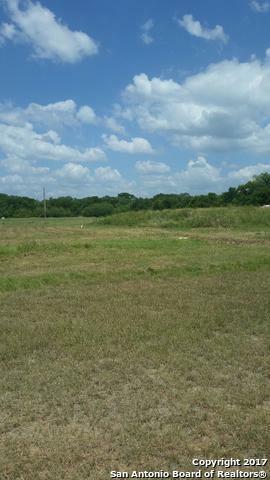 Formerly a golf driving range and pasture. Salado Creek runs along the back side of the property and has a nice wooded area along the creek. 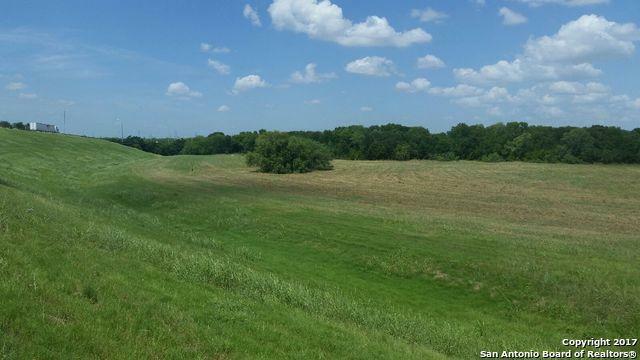 Adjacent 200 acres are also for sale. Listing provided courtesy of Thomas Beighley of Thomas Beighley Realty.